After the first ever Cebu Blogging Community members' orientation program at the Global Hub Serviced Offices, I went with a few other Cebu Blogging Community Leads to Ridges along F. Cabahug Street in Kasambagan, Cebu City. Before we went for some musical recreation at Watever KTV, the gang decided to have lunch at Dong Juan Restaurant. 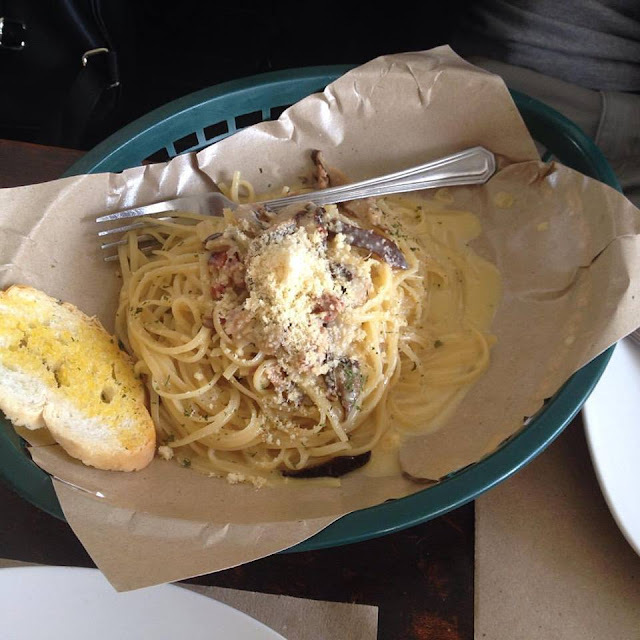 We took advantage of their Everyday Pasta promo which runs until 15 November 2015. It was an early birthday treat for me. Present during lunch were CBC partnership lead and co-founder Bjornson Bernales, CBC social media manager Channel Marie "Shanky" Imperial, food bloggers lead representative Carlo Andrew "Caloy" Olano, photo bloggers lead representative Meliton John "Emjae" Argallon, fashion bloggers lead representative Katherine Annika Cutar, her beau Ramzy Magbitang, and yours truly. We ordered four different kinds of pasta dishes. Dong Juan's Everyday Pasta promo allowed us to pay for only the two more expensive pasta dishes. Then we got the two cheaper dishes for free. 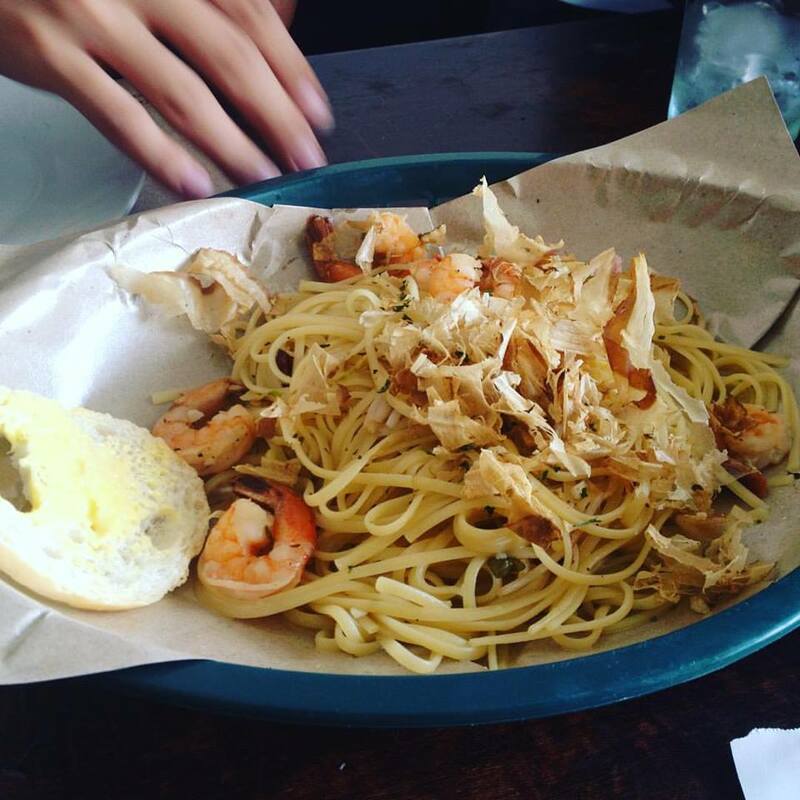 We ordered Gambas Al Ajillo, Pacific, Cebu Native Chorizo, and Linguini Carbonara pasta varieties. All the dishes we ordered came with a slice of garlic bread. For pizza, we ordered Dong Juan's Cheeze and and Garlic Pizza. We also ordered the Happy Drink for our beverage. Dong Juan's version of the Gambas al ajillo not only features a pasta in pesto sauce with shrimps. It also comes with bonito fish shavings. The CBC bloggers marveled at how these bonito flakes kept moving for quite a while when the dish was served. 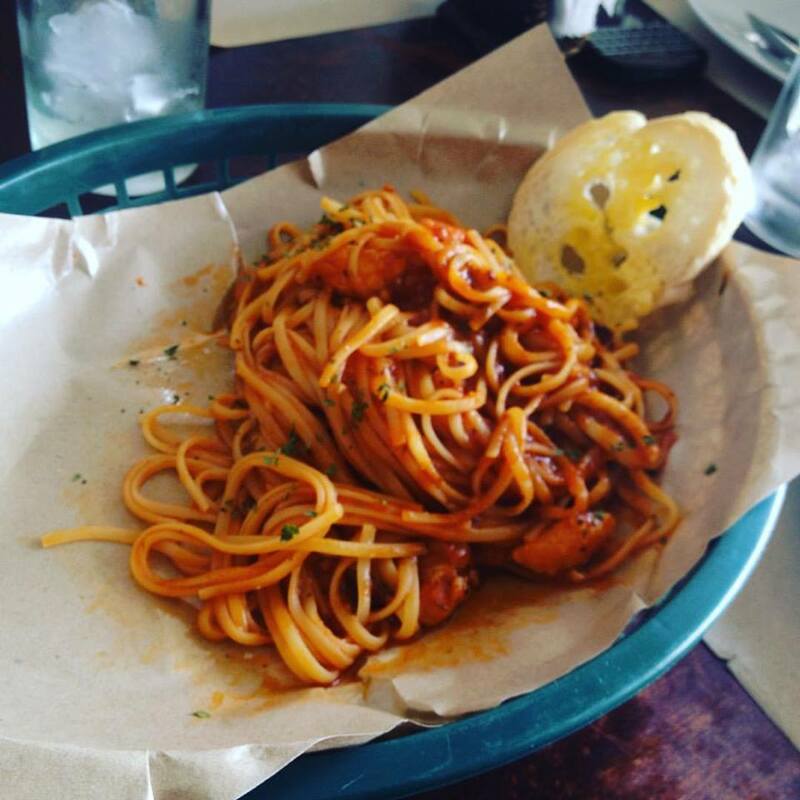 The Pacific Pasta is a red sauce dish that features seafood. I tasted shrimp, fish, and squid in the dish. This is quite unusual. Yet it was good. 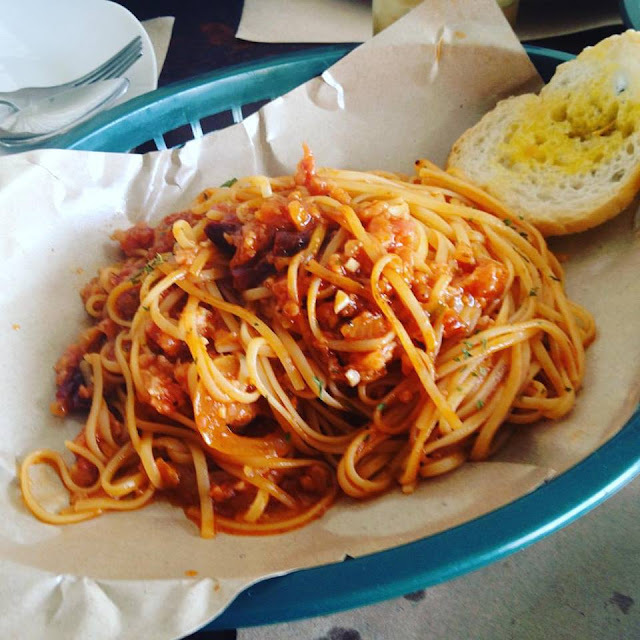 Want to have pasta with a local Cebuano flavor? Try Dong Juan's Cebu Native Chorizo Pasta, a dish in marinara sauce with an abundant mix of chorizo de Cebu. Very much like what we Filipinos know of as spaghetti except for the chorizo de Cebu ingredient. Linguini pasta in carbonara sauce had bits of ham, bacon, and loads of cheese. This one's good for those looking for a rich white sauce rendering. Cheeze and garlic pizza can be ordered with regular dough. It can also be ordered with oregano flavored dough. It also has olives which I am not a big fan of. Take out the olives and I'm a happy diner. 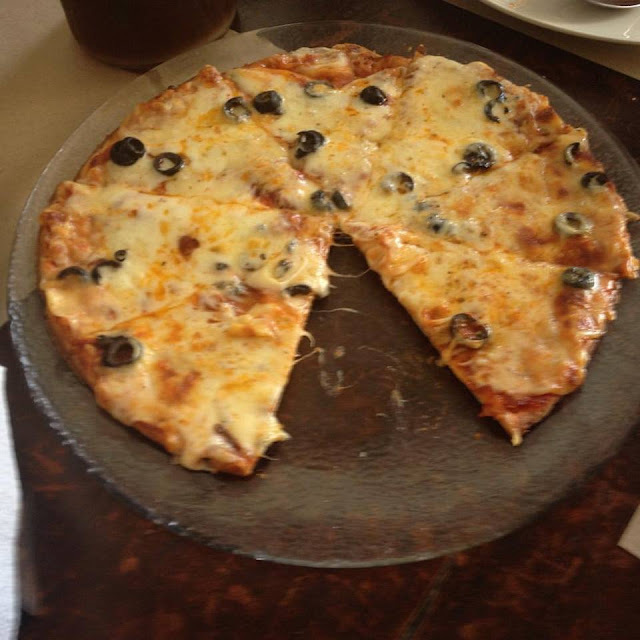 Have you tried the pizza and pasta at Dong Juan Restaurant in Cebu? What are your favorites? Care to share them in the comments below?